Athletic and clinical testing for performance analysis and enhancement has traditionally been performed in the laboratory where the required instrumentation is available and environmental conditions can be easily controlled. In this environment dynamic characteristics of athletes are assessed using treadmills, rowing and cycling machines and even flumes for swimmers. In general these machines allow for the monitoring of athletes using instrumentation that cannot be used in the training environment but instead requires the athlete to remain quasi static thus enabling a constant field of view for optical devices and relatively constant proximity for tethered electronic sensors, breath gas analysis etc. 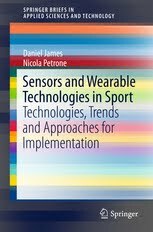 Today however by taking advantage of the advancements in microelectronics and other micro technologies it is possible to build instrumentation that is small enough to be unobtrusive for a number of sporting and clinical applications (James, Davey and Rice 2004). One such technology that has seen rapid development in recent years is in the area of inertial sensors. These sensors respond to minute changes in inertia in the linear and radial directions. These are known as accelerometers and rate gyroscopes respectively. 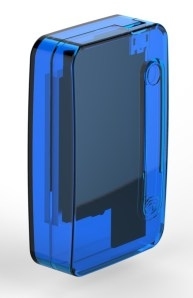 This work will focus on the use of accelerometers, though in recent years rate gyroscopes are becoming more popular as they achieve mass-market penetration, thus increasing availability and decreasing cost and device size. Accelerometers have in recent years shrunk dramatically in size as well as in cost (~$US20). This has been due chiefly to the adoption by industries such as the auto-mobile industry where they are deployed in airbag systems to detect crashes. Micro electromechanical systems (MEMS) based accelerometers like the ADXLxxx series from Analogue Devices (Weinberg, 1999) are today widely available at low cost. The use of accelerometers to measure activity levels for sporting (Montoye, Washburn, Smais and Ertl 1983), health and for gait analysis (Moe-Nilssen, Nene and Veltink 2004) is emerging as a popular method of bio mechanical quantification of health and sporting activity and set to become more so with the availability of portable computing, storage and battery power available due to the development of consumer products like cell phones, portable music players etc. Accelerometers measure acceleration at the sensor itself and typically in one or more axis and are millimetres or smaller in size. In general a suspended mass is created in the design and has at least one degree of freedom. The suspended inertial mass is thus susceptible to displacement in at least one plane of movement. These displacements arise from changes in inertia and thus any acceleration in this direction. Construction of these devices vary but typically use a suspended silicon mass on the end of a silicon arm that has been acid etched away from the main body of silicon. The force on the silicon arm can be measured with piezoresistive elements embedded in the arm. In recent years multiple accelerometers have been packaged together orthogonally to offer multi-axis accelerometry. Accelerometers measure the time derivative of velocity and velocity is the time derivative of position. Thus accelerometers can measure the dynamics of motion and potentially position as well. It is well understood though that the determination of position from acceleration alone is a difficult and complex task (Davey and James 2003). Instead, accelerometers are often used for short-term navigation and the detection of fine movement signatures and features (such as limb movement). Accelerometers can be used to determine orientation with respect to the earth’s gravity as components of gravity are aligned orthogonal to the accelerometer axis. In the dynamic sports environment, complex physical parameters are measured and observed in relation to running and stride characteristics (Herren, Sparti, Aminian and Shultz 1999), and in the determination of gait (Williamson and Andrews 2001). Researchers have also used accelerometers for determining physical activity and effort undertaken by subjects. These kinematics systems have been able to offer com-parable results to expensive optical based systems (Mayagoitia, Nene and Veltink 2002). Rate gyroscopes, a close relative of the accelerometer, measure angular acceleration about a single axis and are also used to determine orientation in an angular co-ordinate system, although these suffer from not being able to determine angular position in the same way accelerometers have trouble with absolute position. Additionally many physical movements, such as lower limb movement in sprinting, exceed the maximum specifications in commercially available units that are sufficiently small and inexpensive for such applications.